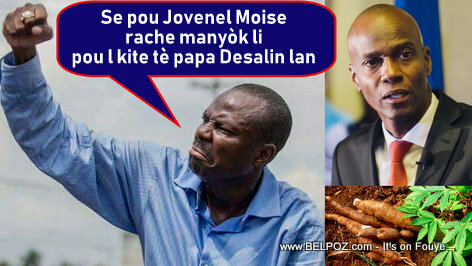 Former Haitian senator, now opposition leader Moise Jean Charles places the PetroCaribe Challenge movement happening in Haiti as just an element of his big revolution. Coincidentally, Le Nouvelliste has just published an article saying that the petrochallengers have lost control of the movement they launched about three months ago on social networks. This movement has been recovered by politicians. If you listen closely to what Moise Jean Charles said, PetroCaribe is just a tool the politicians are using to advance their bigger objective.